Vitamin A is a fat soluble vitamin that is also a powerful antioxidant. 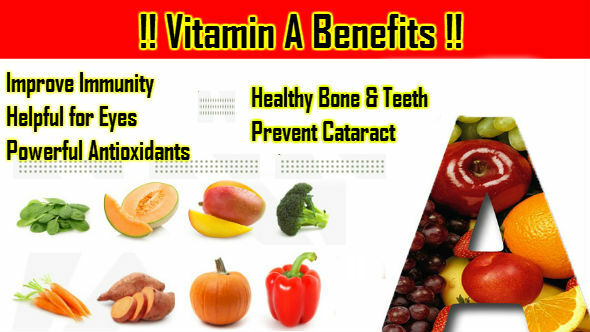 Vitamin A plays a critical role in maintaining healthy vision, neurological function, healthy skin, and more. Vitamin A- like all antioxidants- is involved in reducing inflammation through fighting free radical damage. Consuming a diet high in antioxidants is a way to naturally slow aging. Vitamin A deficiency is common throughout the world in underdeveloped, overpopulated countries. It is estimated that worldwide, 80, 000 children a year become blind as a result of vitamin A deficiency and about one-half of these children die. Vitamin A is present in our food in two forms. In food of animal origin it is found as the active vitamin (retinol), while in plant foods it is found as provitamin-A carotenes, a precursor of vitamin A. Carotene is an orange-yellow pigment that is present in green vegetables, but is masked by the green color of the chlorophyll in the leaves. A precursor, or provitamin, is a substance that is changed in the body to vitamin A. This takes place in the wall of the small intestine. The amount that is changed varies between 30 and 70 percent, depending on the type of food and the form in which it is eaten. Carotene itself is not active in the body. In most of the food we eat about half of the vitamin A is in the form of retinol and the other half is provitamin A. The liver stores about 90 to 95 percent of our vitamin A, enough to last months or perhaps even years under normal circumstances. Gives the ability to see in dim light. Needed for growth and development of strong bones and teeth. Needed for the secretion of mucus by the cells lining the respiratory, urinary, and intestinal tracts that helps keep them moist and healthy. Aids the normal reproductive processes. Needed for carbohydrates metabolism in the liver. Essential for proper smell, hearing, and taste. Aids in the prevention of certain types of cancer. Beta carotene is a non-toxic antioxidant and helps prevent disease by neutralizing free radicals. Increased susceptibility to infections, especially in the respiratory tract. Changes in the eyes that may lead to blindness. The eyes becomes dry, swollen, and infected. This condition is called xerophthalmia. Poor bone growth in children. Defective enamel on teeth and an increased number of cavities. Because vitamin A cannot be excreted from the body in any significant amount, toxicity results from prolonged daily doses in excess of 50, 000 IU in adults and less in children. The symptoms of an overdose are nausea, diarrhea, headache, dizziness, loss of hair, bone pain, dry itching skin, drowsiness, and cessation of menstruation. These symptoms will clear up in a few days if the excess intake is stopped. Toxicity only occurs with retinol and not with carotene. An excess intake of carotene will cause the skin to turn yellow. This can be seen in those who drink large amounts of fresh carrot juice. Deep yellow vegetables such as carrots, pumpkin, sweet potatoes, winter squash, yellow corn, tomatoes. Dark green vegetables such as broccoli, chard, spinach, beet greens, collards. Yellow fruits such as apricots, cantaloupe, peaches, persimmons, oranges, mangoes.